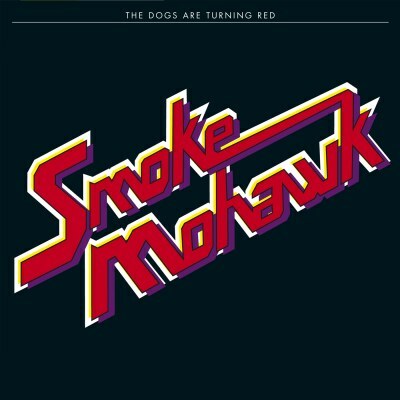 Smoke Mohawk - "The Dogs are Turning Red"
Smoke Mohawk is a new Oslo based Norwegian band featuring Thomas (from WE), Danny and Raymond (from Gluecifer) and Rolf (from My Midnight Creeps). This is quite an all star line up of the Norwegian rock scene. The band lays down 11 tracks in just under an hour of a lot of different styles of rock and roll music and a lot of great and catchy songs about strange subjects! Slow Lane starts things off with a straightforward rock and roll riff and a very melodic rock and laid back vocal from Thomas. Nice to see the band psych out a bit in the middle of this catchy rock track before coming back to the main theme. Midnite Rollin' is another really catchy track and has some really cool bass playing and a great guitar break section. The band could really jam this one out live but they probably don't. It even contains a bit of a drum solo. Cool mid section break. Murder Attempt kicks things up and it sounds like 1976 Ted Nugent! A great powerful rock and roll riff and besides the vocals, is very Nugent. Time is the Dealer is next and it has a sort of mysterious feeling to it and it is a funny little track with some funny strange parts. Totally different from all the other tracks on the record and that funny little keyboard line. One Puff Man takes you back to the late 60's early 70s with it's slightly country rockish vibe. They get a bit psyched out in this one as well. Far out… Watch the Rig is a slow track and again has some slide guitar and a cool melodica solo after which the guitar sounds like Neil Young. Ratfaced Dog, the old Little Feat track, is a more down and dirty number and it tells a cool story as well. Hunting Grounds has a heavier riff and some psyched out vocals. One of the heavier tracks on the CD. Reefer and Rent is one of the most uptempo tracks. This is a great rock and roll record and almost every track is totally different from the one before it but it is still all rock and roll my friends.